Creator and Executive Producer of planetarium show on dark matter. California Democratic Party Executive Board Member. Research in theoretical physics (including 90 publications) on the Standard Model and its extensions, including studies of the nature of Quantum Chromodynamics, analyses of neutral current couplings, calculations of the production of heavy quarks, and studies of the properties of supersymmetric particles and higgs bosons. As a member of the ATLAS Experiment at the Large Hadron Collider, over 700 publications including the discovery of the Higgs boson. Former Head of the Particle Data Group (PDG), an international collaboration with about 220 members from 148 universities and laboratories in 24 countries. It provides essential up-to-date summaries of experimental and theoretical particle physics to the HEP community and other physicists and to teachers and students. The information is made available through the biennial publication of the "Review of Particle Physics", and the "Particle Physics Booklet." The Review is requested by 14,000 people and the booklet version by 30,000 people (including thousands of students). The Review has been cited by over 60,000 papers in our field, far exceeding that of any other publication. Physicists from 140 countries have used the PDG webpages, yielding 10 million hits per year. Creator and Executive Producer of a state-of-the-art planetarium show on Dark Matter (Phantom of the Universe: The Hunt for Dark Matter) from the Big Bang to galaxies to the Large Hadron Collider. The show won an Honorable Mention prize at the 2017 International Full Dome Festival. The show features Academy Award winning actress, Tilda Swinton, sound from Skywalker Sound, and an award-winning Hollywood producer and scriptwriter. A team of animators from Valencia worked full-time on the show for several months. This project involves a collaboration with several planetariums and other partners, including Nobel Laureate George Smoot. The show is appearing worldwide (400 planetariums in 60 countries on all six continents, and 17 languages, and 40 U.S. states). Planetariums have 110 million visitors every year. A 2012 article for Scientific American online with Erik Johansson (Stockholm University) and Paul Schaffner was published and received a large number of "likes' and even "tweets". 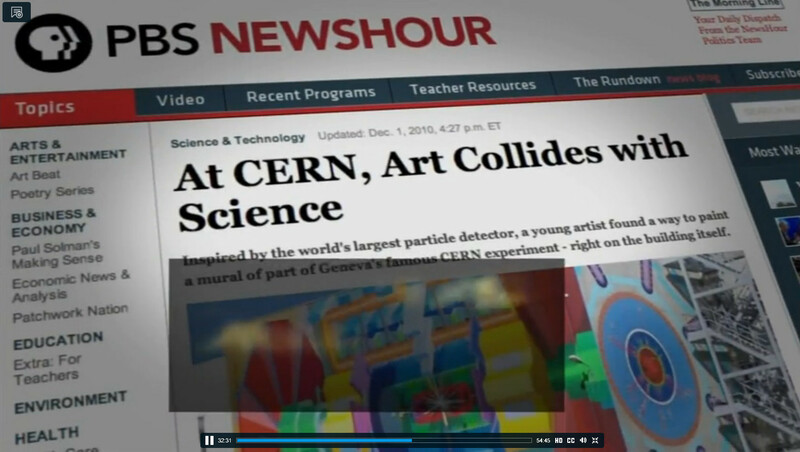 The topic was art and science, with a focus on the LHC. The title given to it by Scientific American was "19 Ways That Art and the LHC Open a Portal to Physics." With the discovery of the Higgs boson, a variety of efforts to engage students, teachers, and the general public in this excitement. Includes production of a poster about this discovery and wrote an article published in "The Physics Teacher" magazine. It was one of the top ten most read articles in the Physics Teacher. 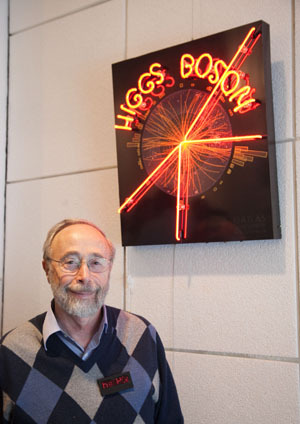 Supported the production of a LEGO model of the ATLAS Experiment, and production of a Higgs boson sign in neon. During the year spent at CERN (2008-09), commissioned and enabled a giant mural of ATLAS to be painted (http://atlasexperiment.org/mural/). Besides being seen by the thousands of visitors each year, it is seen by the tens of thousands who drive by every day. The news media frequently use a photo of it in their stories about LHC. It is also seen each time PBS (US public television) covers a science story. They follow the story with a short graphic to advertise their website on science stories, see this link. Co-commissioned and edited "The ATLAS pop-up book - Voyage to the Heart of Matter: The ATLAS Experiment at CERN" published in English and German. A newly updated edition of the book contains the pop-up particle tracks resulting from the decay of a Higgs boson in the heart of ATLAS. Both ATLAS and the Large Hadron Collider are recreated in full 3D pop-up by paper engineer Anton Radevsky. The book contains 16 separate pop-ups that reveal the inner workings of the Large Hadron Collider and the ATLAS experiment and now also includes the discovery of the Higgs boson. Wired says: "The Large Hadron Collider leaps off the page". Past Education Coordinator of the ATLAS experiment at the Large Hadron Collider. ATLAS is a particle physics experiment conducted by 3000 physicists from 34 nations at the CERN laboratory in Geneva, Switzerland. Led production of a 20-minute movie about ATLAS that has won four gold medals at international film festivals (in the science category). Led creation of "The Particle Adventure" a Web multimedia feature (now in sixteen languages) at ParticleAdventure.org. The Discovery Channel website says: "This site takes your students into the future. Check out this totally awesome interactive site..."
As co-founder of the Contemporary Physics Education Project (CPEP), worked since 1986 in creating a variety of materials about particle physics, cosmology, nuclear physics, and plasma/fusion physics. These include wall charts, web-based features, booklets, and classroom activities. 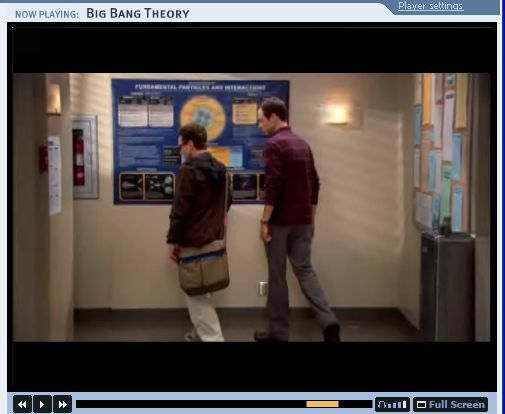 Over 200,000 copies of the charts have been distributed, and they have appeared in three Hollywood movies, as well as in the TV show, Big Bang Theory see photo . As co-founder of QuarkNet, led a national program to involve students and teachers in vanguard experiments while learning basic physics. QuarkNet has established 50 "centers" in 26 states plus Puerto Rico. It involves students at 500 high schools in research at Fermilab, the CERN lab, SLAC, etc. and gives teachers summer research experiences. Funded by the Nobel Foundation for collaborative efforts in developing the Nobel e-Museum. Created the section entitled: "Structure of matter!" Attended the 1999 week-long Nobel Prize cermonies in Stockholm. See images from our 8-page, very colorful new brochure on particle physics with an emphasis on extra dimensions. Also see a short article in Scientific American (with Helen Quinn) about antimatter in the April 2002 issue. Member of the PBS NOVA Advisory Board for the teacher's guide for the October 2003 NOVA series The Elegant Universe about String Theory. Co-author of a book on particle physics for students, teachers and the public entitled "The Charm of Strange Quarks: Mysteries and Revolutions of Particle Physics" (Springer-Verlag ISBN: 0387988971). This book (now in its second printing) describes the fascinating story of how 20th century physicists revealed layer upon layer of structure within the atom to reach the basic particles of matter. Both particle physics and cosmology are made accessible to a reader familiar with some basic principles of physics. Also co-authored "Particle Physics -- One Hundred Years of Discoveries" (AIP Press). ​Public Information Coordinator for the American Physical Society (APS) Division of Particles and Fields (1994-97). Organized three APS receptions in the US House of Representatives for Members of Congress and their staff and for Administration officials. As member of the APS Task Force on Informing the Public, proposed the public website that became Physics Central. Past chair of the APS Forum on Outreach and Informing the Public. Organized a large assembly in Washington's Lisner Auditorium on Super Collider research, which was addressed by several Nobel Prize winners and by Stephen Hawking. Past-Chair, American Physical Society, California Section. Past-VP, American Association of Physics Teachers, N. Calif./Nev. Section. All labor was volunteer (by Michael).